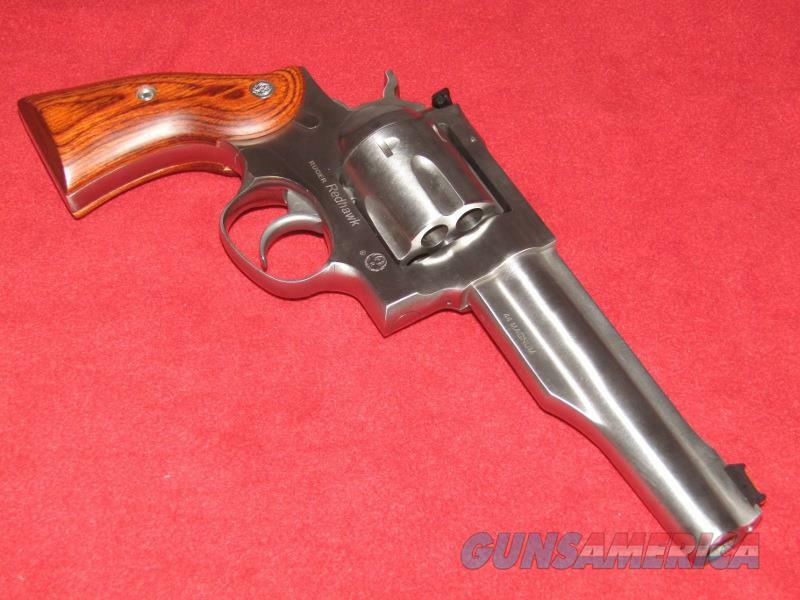 Description: Brand new Ruger Redhawk Revolver (.44 Mag.). This item has a 5.5” barrel, adjustable green fiber optic rear sight, red fiber optic front sight and laminate stocks. Comes with the manual and gun lock.